Three years after their first adventure began, Bree, Devin, and Mikkel now enter a new world with the explorer Leir Erikson. Their first task: build a shelter to survive the winter. But danger lurks from within-shadows on the horizon of a life where everyone needs the courage to win. Can Mikkel conquer his enemies and find new purpose for his life? Will he keep his promise to Bree and Devin to take them home to Ireland? Will he keep his pledge of honor - even it if means death? 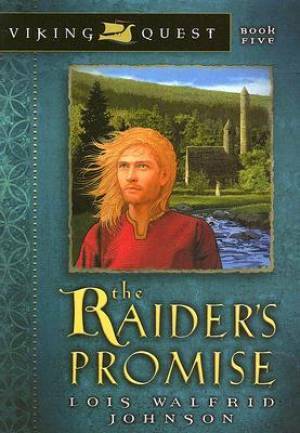 Raider's Promise by Lois Walfrid Johnson was published by Moody in March 2006 and is our 28856th best seller. The ISBN for Raider's Promise is 9780802431165. Be the first to review Raider's Promise! Got a question? No problem! Just click here to ask us about Raider's Promise.